Though there are lots of projects published and forthcoming that give a much-needed voice to survivors of sexual assault and abuse, and many do accept anonymous pieces, there isn’t a space specifically for those who aren’t comfortable sharing their name alongside their stories, for whatever reason. 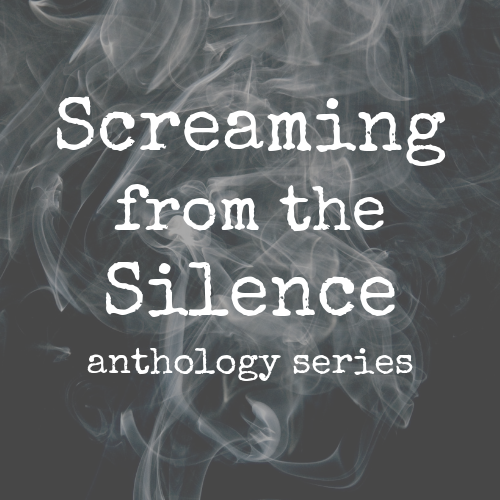 The Screaming from the Silence series hopes to fill that gap and provide that space for poets, writers, and artists. Nightingale & Sparrow and Screaming from the Silence plan to donate a portion of the profits from each volume to a charity with a similar mission and values: suggest a charity here.